Thank you for joining me for the TCM Blog Hop! I know many of you left comments, and I am touched by the kind things you had so say about my projects! If you'd like to find out if you happened to submit a lucky comment and if you've won all the stamp sets from this TCM release, check the TCM blog here. I am back today to show you some cards that I was not able to show you during the previews. Last Saturday just happened to be my bridal shower here in the city, followed by my stagette! The weekend was full of fun & lots of girly time, but unfortunately no scrappy time. So, I'm here today instead, to show you one of the creations, and I will be back again for the next few days to show you the rest! 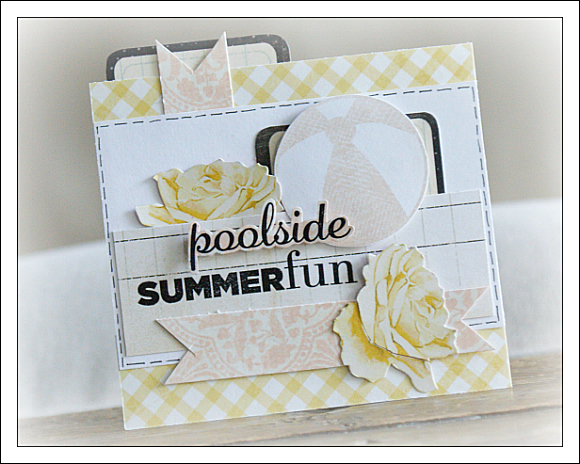 Here is a project I created using the Summer Fun stamp set, designed by Kaitlyn Ord. 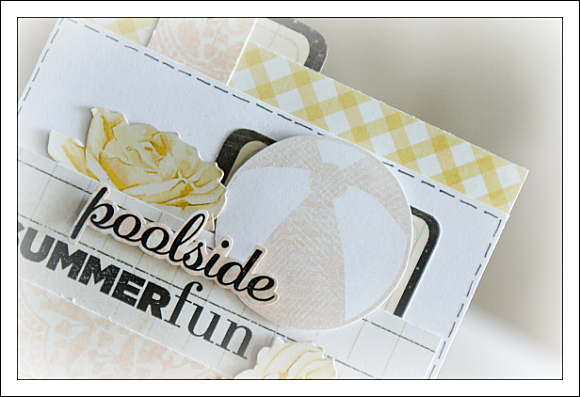 I looooove summertime, and anything scrapbook-related that celebrates this awesome season, gets my thumbs-up of approval! This set features a few awesome summery images like the pretty beach ball, along with a few rockin summer sayings. 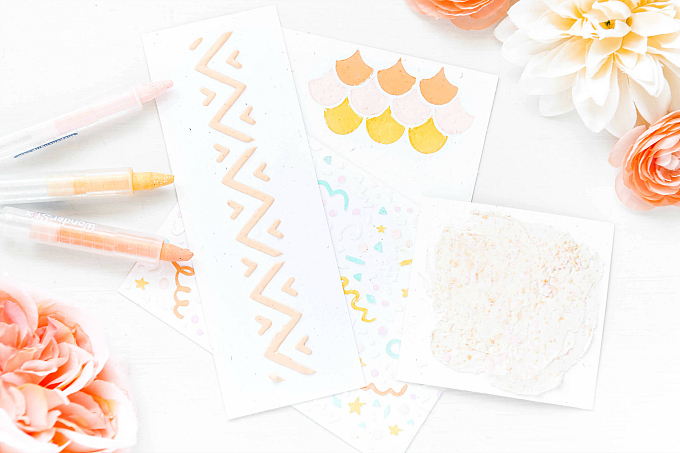 You can view the full stamp set here, which is yours FREE with any $50 purchase from TCM! Luckily, the weather has started to look up for us in the past few days, so this stamp set's timing couldn't be better! 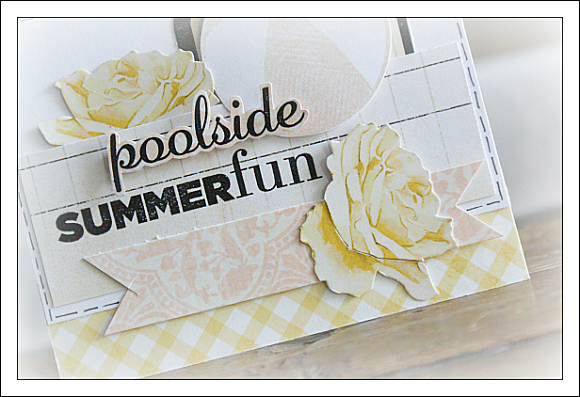 I can't wait to see what I can do with it on my beachy scrapbook layouts! I am off to catch a few rays & maybe snap a few summery shots... I will meet you back here tomorrow with another creation!